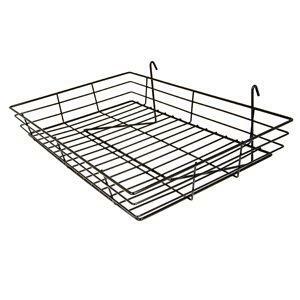 24" wide x 15" deep black grid basket. Great for all kinds of product, loose goods, packaged goods, clothing. For use with grid wall or slat grid. 6 per box.